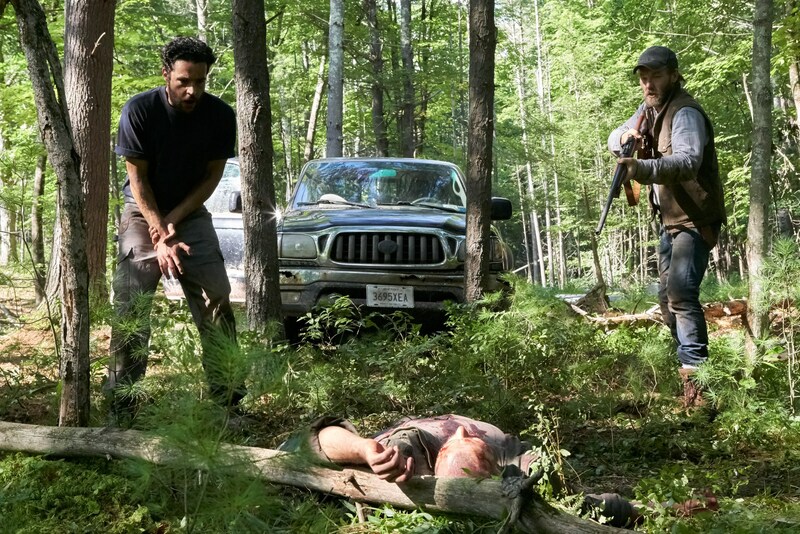 It Comes At Night will divide horror audiences, but that doesn't stop Trey Edward Shults' deadly-tense doomsday thriller. Trey Edward Shults, you bleak harbinger of the inevitable. What a death grip It Comes At Night is. Constantly barebones, yet tense and suffocating. You’ve seen movies about man’s demise and societal breakdown before, but Shults asserts command through macabre manipulation. Questions will surely arise – and most likely go unanswered – but these teases are intended. Mere breaks from muttered conversations that so hopefully delay the thing that will always come. “Scares” are rarely of the conventional sense, as end-of-days banter opts to explore a collectively unknown. That discomfort you’ll feel post-credits is wholly human, and more than expected. These are common after-effects when your deepest fears have been laid in plain sight. Joel Edgerton stars as Paul, a modern-day survivalist whose current mission is to protect his family. From what? A deadly virus that rots from the inside. 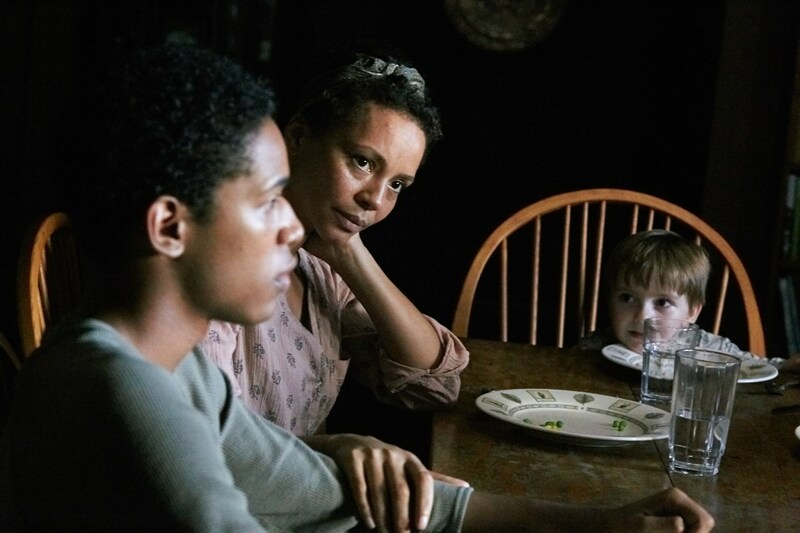 We meet Paul, son Travis (Kelvin Harrison Jr.) and wife Sarah (Carmen Ejogo) just as grandpa (David Pendleton) is being put out of his misery. We immediately see the sickness’ damage and glimpse Paul’s devotion to survival. We get an even better sense of the latter when a vagrant breaks into their house. Turns out that man’s name is Will (Christopher Abbott), and he’s not so different from Paul. The break-in was simply to forage supplies for his own family. So, how is the invader treated? With respect, and an open invitation to pool their resources at Paul’s “luxury” quarantine cabin. Inviting strangers to wait out the apocalypse with you – what could go wrong? You must understand that while It Comes At Night is most certainly – without argument – a horror movie, its terror roots with reminiscent tonality to The Witch. Do not mince my words. It Comes At Night *is not* this year’s The Witch. 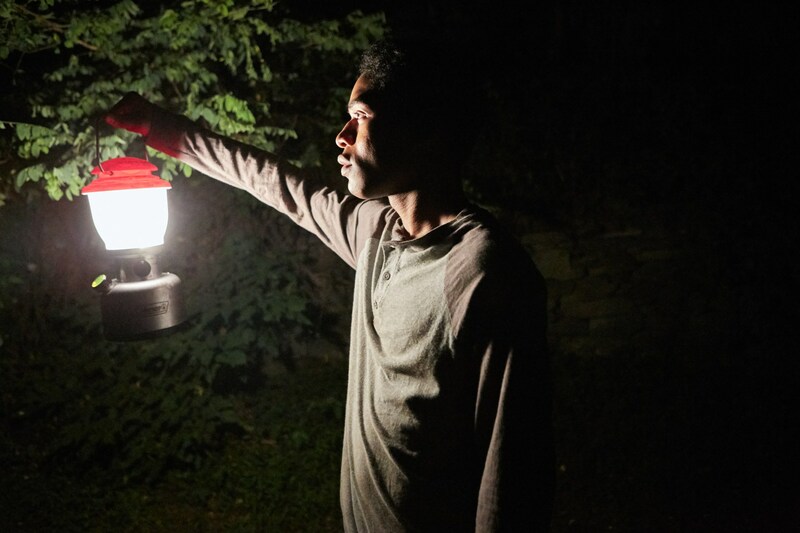 It Comes At Night is slow-building, situation-based dread that requires empathy, dot-connecting and an inquisitive mind. How? No reveals here, Cheaty McSpoilyface. 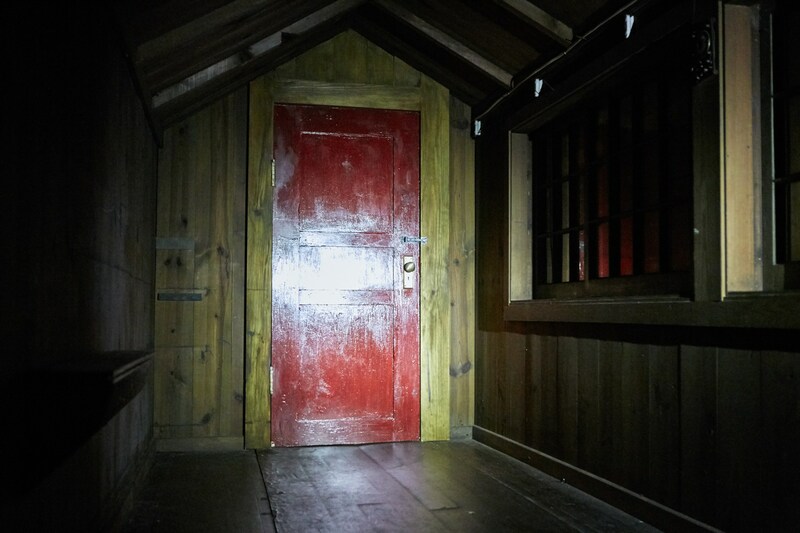 Shults’ mysterious – and divisive – red herrings can be interpreted any number of ways, but suspense depends solely on blind devotion. Just know that “horror” doesn’t always mean mainstream jump scares. This is soul-churning, hope-abandoning trauma – and most importantly, it won’t be everyone’s speed. What transpires between Travis’ restless nights is nothing but low-fi character development. Mumblecore dialogue that fits neatly into a decaying world that Shults erected without our inclusion. When we meet Paul, quarantine practices are already far in effect. Maybe a small town is experiencing viral decay, or maybe the entire world has gone all Romero’s The Crazies (without the craziness). Your comprehension of outside elements means nothing to Paul’s fortress, because this isn’t a disaster flick. It Comes At Night is a human drama about being pushed to the edge, or thinking fate can be avoided. This means plenty of dinner table discussions and gas-mask-muffled arguments, without much of the physicality Shults’ title suggest. Even for myself, a little more gas could have been thrown into the “horror” fire – but goddamn if it isn’t raging in its own way. Edgerton has played these gruff nature men before – bearded, flannel brawny men – and his protector instincts are the film’s most constant source of tension. He is, for all intents and purposes, a good man. Rules are kept, lives are saved and amendments are made in the case of unknown visitors. Yet, like a simmering kettle nearing a boil, you can still tell uncertainty is on high alert. This leads to aggression in the form of disobedient yells toward Travis, constant background checking of Will (Abbott dodges and sweats with combating “slickness”) and a tight grip on firearms – Edgerton dictates the mood of Shults’ cast. Quite well, I must add. Although, Kelvin Harrison Jr. is the clear lead versus Edgerton’s top-billing. 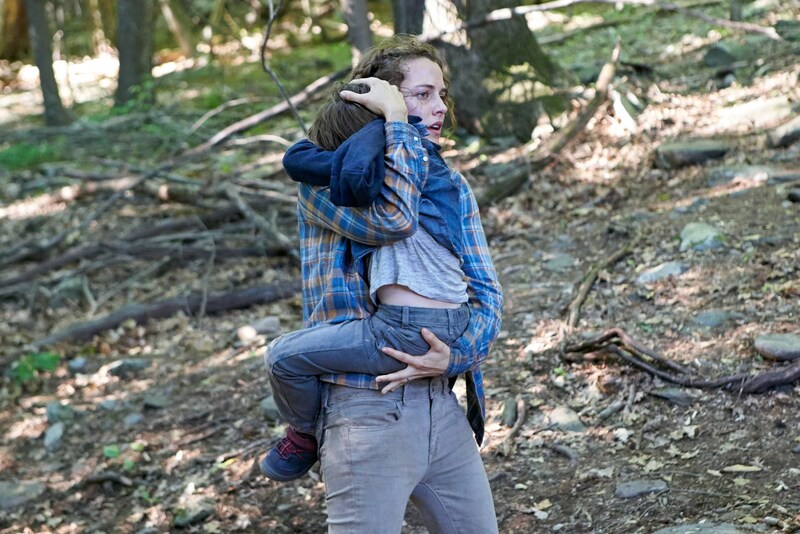 Travis is more than a supporting son character. We meet the young boy as he’s forced to put Grandpa Bud out of his misery, which leads to gooey expulsions and banshee-like screeches via nightmares. But, we also know that Travis shared a room with Grandpa – note their close bond, and also proximity. This becomes a point of contention in plotted understanding, whether or not his visions are premonitions of sickness or just byproducts of biological atrocities. Some of you will hate this, and be even more up-in-arms once Shults fades to black for good – but there’s so much to ponder. Is there a deeper meaning, or is Shults telling the simplest story worth overthinking? You can decide for yourself. It Comes At Night is an adaptive equation that’s open to interpretation, not some Horror 101 slasher introduction. Trey Edward Shults has no patience for exposition. His world is Hell and you just have to accept it. These characters we encounter represent our darkest shadows; the ones who are in danger of disappearing. If you believe horror shines blackest when hardest to decipher, 2017’s horror crop may never best this effort. For me, it’s a Mortal Kombat finisher that punches through your ribcage with heart-in-hand – but the fight itself is a bit too talkative. Some will anoint brilliance while others will assume Shults misplaced half the introduction. Good thing this polarizing punisher provokes plenty of discussion-worthy reactions, whose tonal execution alone is worth an onslaught of think-pieces.